Many professionals want to stay on top of trends, research and new products and services for their industry. Often we don’t have time at the moment we receive the email to read every interesting article that comes through. The following are two online reading applications that essentially allow users to tag and save articles and web-pages for later viewing via multiple devices. Pocket is an online reading app, that lets you tag articles and sites to read at a later. It auto syncs with all mobile devices so that users can tag an article on their computer, go to a meeting, and read it from their tablet or smartphone. This app is free. Instapaper allows you to save Web pages for reading offline later including posts on Facebook, Twitter or Tumblr. 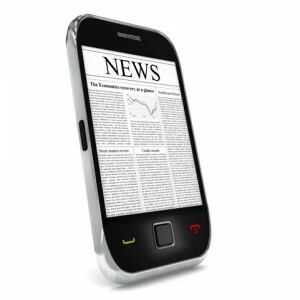 This app also provides the ability to view on mobile devices and will optimize the content for best readability. The app costs $3.99. Most of us perform our daily tasks at our desk near the computer. Often this is not the best place to do certain activities or priority tasks that take more concentration and less distraction. Activities such as strategic thinking, reading, writing and development often require a different environment to assist in changing the mindset to help perform those tasks more quickly and efficiently. An advantage of technology tools, telework and remote work environments is that workers can now utilize the right environment for the right activity. We are in an information age, and most workers receive a large amount of data that merely needs to be read. Although workers have great intentions to read those e-newsletters, magazines and journals, it often doesn’t become priority because other tasks supersede reading, especially when one is positioned in the active-communications zone. Trying to read in the active-communication zone is generally not effective, and reading will always be pushed aside for more immediate and quick actions. If reading is an essential component to a person’s job and business, consider finding an environment that is quiet, free from interruptions and distractions and away from the active-communication zone. 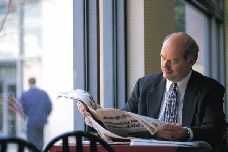 Some workers enjoy reading in a coffee shop, conference room, commuting to and from work, at home or at a separate location within the office such as a side table, sofa or chair. To read effectively and absorb the necessary information consider finding a reading zone area. Have you ever wanted to tag those online articles, videos and PDF’s to review later? Well there is a tool that works with most web-browsers called Pocket that does just that! Pocket is a free application that lets you save information you have found on the Internet to watch or read on multiple devises, including Smart phones, tablets and laptops. Once you create an account, it will be located in your Browser and as an application on Smartphone’s or tablets. Then, when on a website just ‘pocket’ it and it will remember that website and page and be accessible from any of those devises when you want to go back to it. Do you want time to read but just can’t seem to find it in your office? 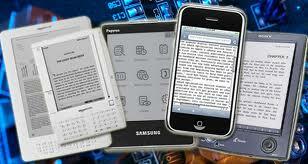 An e-book device is a device specifically designed for reading material. It can hold a large amount of reading material and minimize weight, especially if you like reading more than one book at a time. They are very useful when you have a lot of white papers, reports and other PDF type documents to read and just don’t get time in your office. It allows you to get away from your computer to a more conducive reading environment to concentrate and absorb the information. The e-readers have easy search capabilities especially when looking for that one phrase, quote or topic. They also have the ability to take electronic notes or highlight text. The Amazon Kindle and the Sony Reader are good, basic e-readers and do well in bright sunlight. The Apple iPad can also be an e-reader with a lot more computer features and functionality.